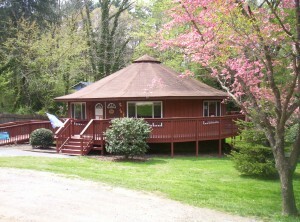 Blue Ridge Montessori School was started 18 years ago, in 1999, as a service to the Beaverdam Community of Asheville, North Carolina for the development of children ages 2.5 through 6 years old using the traditional Montessori pre-school education curriculum. We are a fully accredited school in North Asheville, with Gayle Rayfield as the principle. She is trained in early childhood Montessori education and holds a masters degree from The College of Notre Dame in Belmont, California. The Montessori education model was developed by Dr. Maria Montessori in the 1900’s to assist children in learning through a prepared environment based on the child’s age. Children are encouraged to work on jobs as a group or individually at their own pace in areas such as art, math, literature, music, geography, and history. The program takes children from concrete to abstract understanding of educational material and from the big picture to detailed studies. The program is designed to open children’s imagination, encourage independence and self-esteem, and develop kindness and courtesy towards others. It helps children learn by observation, and exploration in a joyful, peaceful environment where skills and knowledge of their society are mastered. 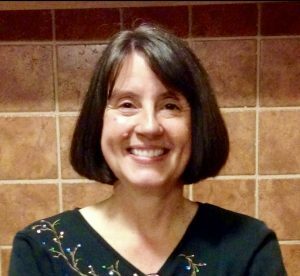 Trained in Early Childhood Montessori Education, Gayle holds a Bachelor of Science Degree in Biology from the University of San Francisco, 1979, and a Master of Education Degree in Early Childhood Montessori Education from Notre Dame de Namur University in Belmont, California, 1999. Ms Gayle has been teaching Traditional Montessori at this location for the past 14 years, and is eager to teach your child time-tested Montessori curriculum with gentle, caring methods in her beautiful, one acre, private wooded setting for learning and play. For questions or to schedule a visit to the preschool, please fill out this form or call 828-281-0505.